Students who took part in this year’s M.A.S.T. (Manufacturing Academy of Science and Technology) Summer Camp at the Bohlen Technical Center found a unique opportunity compared to prior years: Working on two separate projects benefiting two distinct organizations within the community. The two week camp was open to students in grades 6, 7, and 8 in Jefferson County and ran from July 16-26. This marked the third year the camp was held at the Watertown technical center. 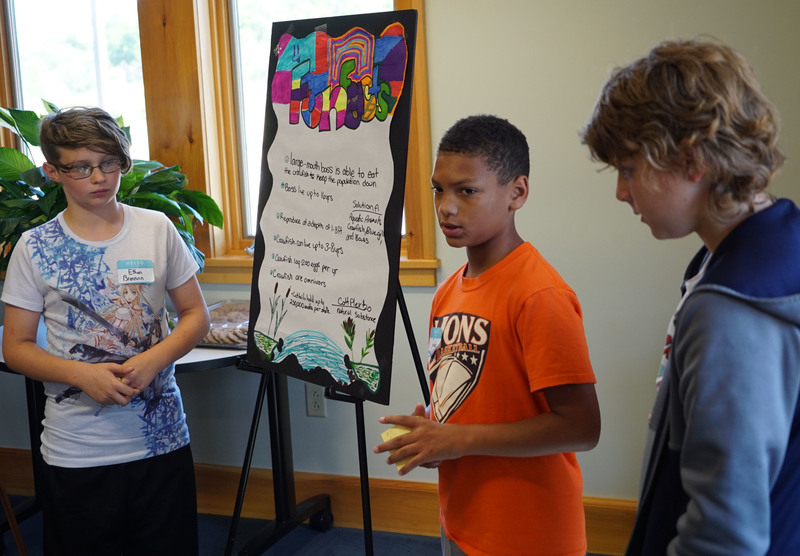 The first week saw students tackling the problem of eliminating cattails, an invasive plant species, from a pond located at Hospice of Jefferson County. The plant has quickly spread and has overtaken an area near the water. Students spent that week researching cattails and different ways to eliminate them. Some of the solutions were impractical from a cost and/or environmental standpoint while others were recommended by the students. Final findings were presented by camp students during a stop at Hospice on July 19. Camp instructor Randy Fulkerson says Hospice officials were delighted by the findings of the students and the results of their work will be presented to their Board of Directors at a later date for further consideration. Week two saw students tackling a different problem: how to combat erosion at Westcott Beach State Park? 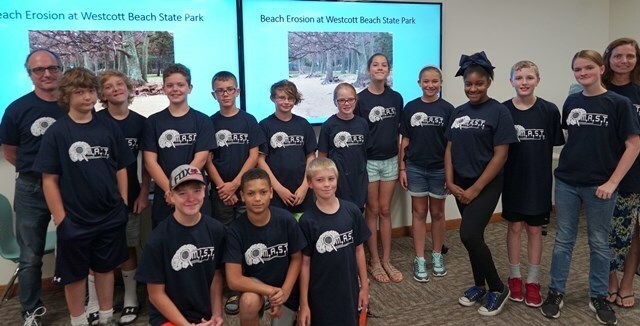 Camp students took a field trip to the park to learn more about the problem, a visit that was documented by WWNY-TV and can be found here. Students returned to the classroom, conducted research, and came up with possible solutions. Their findings were presented on the camp’s final day. 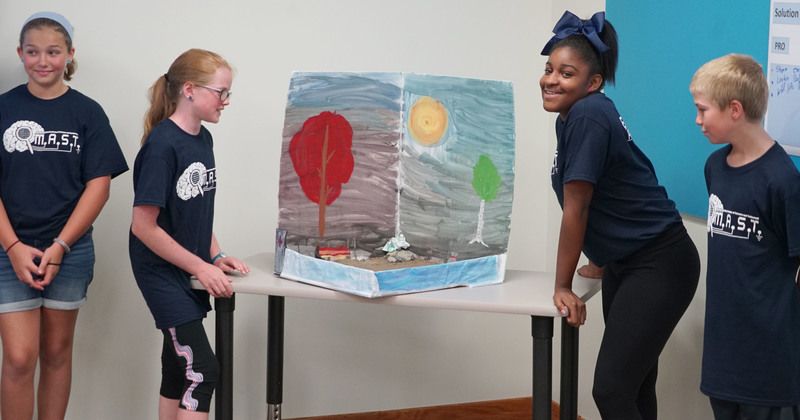 Camp Instructor Mary Pennock describes the students as very sharp and hard workers, adding that she and Mr. Fulkerson were very impressed with what was accomplished. Camp participants also had the opportunity to work with technology as part of their research. Olivia Derouin, a 7th grader from Sackets Harbor Central School, says she enjoyed working with a 3D printer, and that the camp was very interactive and hands on. She says she plans on returning next year.